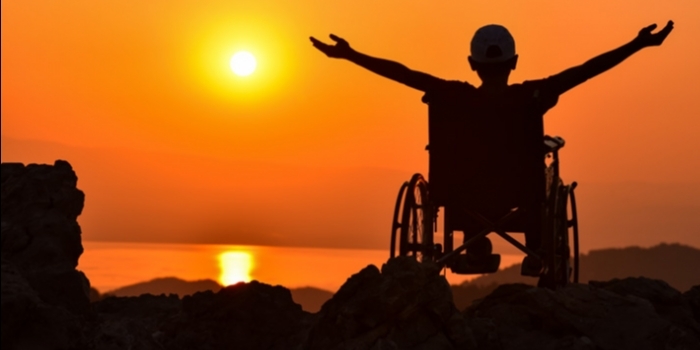 New Horizons Un-Limited is a non-profit organization that provides our community members with disabilities the information, tools and experiences that encourage lifelong learning and service, and enable them to become confident, contributing citizens. We believe that fulfillment can be achieved in many different ways and at every stage of life. As such, we offer a range of services to keep our community members moving forward in their lives. Learn more about Advocating for your rights? Find Support through Community Organizations and Support Groups. Find assistance to Adaptive Technology. Find out how to develop your Employment Skills. We believe that we all have an obligation to give back, no matter where we are in life or what limitations we may have. We believe that every single human being needs support from others to thrive. Visit Disability Experiences, People with disabilities have shared their personal experiences, and resources. Review this Disability Web Portal to learn all about disability whether general or YOUR specific disability. Visit the Library for books, publications and media, State Disability Agencies, Research and much more. Review the list of questions that we have received from other viewers, such as yourself, that are impacted by disability on the topic of your choice. We have found answers or visitors have shared answers. Find help through the building of capacity through community. Value the questions and solutions in your daily life. Share your questions, share your answers. Find assistance on all daily living issues as well as life planning through New Horizons Un-Limited Free Self-Help Guides and Publications. We never stop learning. Self-improvement is a lifelong process. Follow YOUR journey. Find YOUR success that can come in many different forms and at any stage of life. © Copyright 2018, New Horizons Un-Limited Inc.